For more information regarding this event, please email Michelle Pemberton at m.pemberton@soton.ac.uk . Physics Nobel Laureate Brian Schmidt gave the keynote lecture for the University of Southampton’s pioneering Southampton Theory Astrophysics and Gravity (STAG) Research Centre. 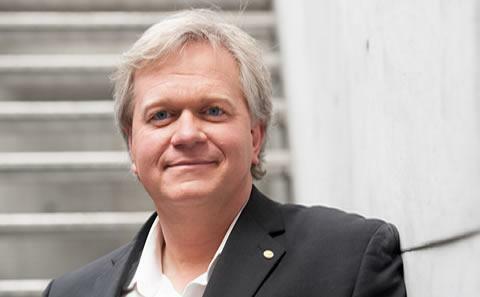 Brian Schmidt, leader of the High-Redshift Supernova Search Team, described the 1998 discovery that the expansion of the universe was accelerating, a startling discovery that suggests that more than 70% of the cosmos is contained in a previously unknown form of matter, Dark Energy. He explained how astronomers have used observations to trace our universe's history back more than 13 billion years. The STAG Research Centre brings together world-leading academics from three research groups – Particle Physics, Astrophysics and Gravitation – to explore issues of fundamental physics and astronomy. Find out more about the lecture on the STAG events page.